highest quality medical marijuana products with one thing in mind. Our patients. It’s our mission to be the standard bearer for natural quality, expertly grown, modern medical marijuana. Combining cutting edge science and cultivation, we’re changing the way people understand and use marijuana as part of a healthy lifestyle. At Standard Farms we believe in a little plant full of potential. Potential to heal, potential for innovation, potential to enjoy life. That’s why everything we do is Grown Modern. Standard Farms medical marijuana products are grown, extracted and processed right here in White Haven, Pennsylvania. We pledge to only use natural ingredients including medical marijuana derived cannabinoids and terpenes in our products. With an emphasis on pure and organic, Standard Farms utilizes a supercritical CO2 based extraction process so that patients can be sure that there are no residual toxins, hydrocarbons or solvents. We strive to be a standard bearer for quality, that’s why our products aren’t just tested at a DOH approved laboratory but, in-house as well. Do you have one of the 17 serious medical conditions defined in the Pennsylvania Medical Marijuana act? 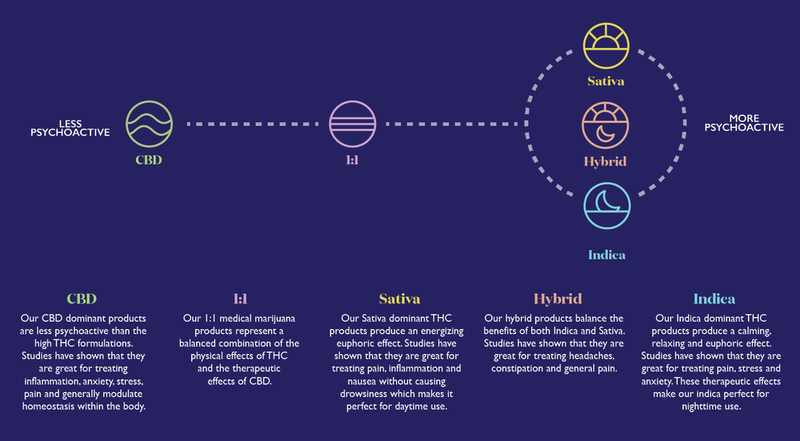 We've outlined a 4 step process to get recommended for medical marijuana. Complete registration by paying for a medical marijuana ID card. Obtain a patient certification that you suffer from one of the 17 serious medical conditions. Or Find a practitioner on the DOH website. Visit a dispensary in Pennsylvania to obtain medical marijuana. Find a dispensary near you. 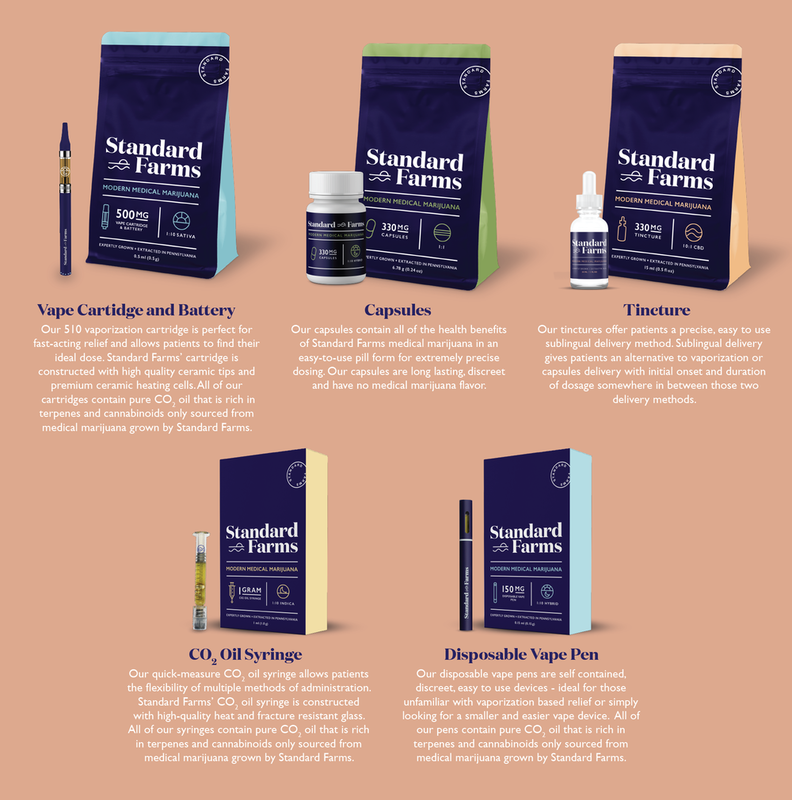 Ask your dispensary about Standard Farms!